Bet not many of you know what zucchini health benefits are? Known as either zucchini, the Italian name or courgettes the French name, and baby marrows the English name, it is a nutritious fruit (and not a vegetable, which it is often mistaken for). It is low in calories and can be eaten raw or cooked. The skins are edible and tender which is where most of the nutrients are found. Baby marrows are a very easy and rewarding bearer of fruit for the home gardener. They can be ready for harvesting within 65 days from sowing, if correctly planted and looked after. So let's have a look at the health benefits of Zucchini, which should also be of interest for the Banting Dieters who use this fruit as a substitute for their pasta dishes. Gout needs to be treated from the root of the problem, which is the body's inability to deal with excess uric acid. 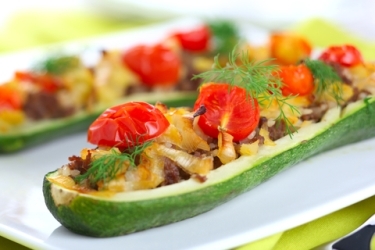 Zucchini is rich source of Omega-3 fatty foods and anti-inflammatory caratonoids. This is why it helps in preventing excessive uric acid in the body and in the process helps to prevent gout. Is it Healthy to eat Raw Zucchini? Zucchini is good for any dieters, not only those on the Banting Diet, as it is very low in calories, in fact it has less calories per serving size so you can help yourself without any worry. Also it has a very good fibre content which also helps to shed extra calories better as you burn off more calories than you consume. Zucchini has a high water content and is therefore very good for juicing. What is the Nutritional Value of Zucchini? These are two very important minerals which are vital to the correct functioning of our bodies. Zucchini is one of the best natural sources of magnesium. A lack of magnesium can cause a shortage of energy, feelings of fatigue and muscle cramps. And potassium is important for control of our blood pressure and is important to people who are uncomfortable with their heart beat. Zucchini, it is believed, have certain properties that are beneficial in promoting men's health in the form of treating the ailment called BPH or benign prostatic hypertrophy. The photonutrients contained in zucchini help to relieve the symptoms of an enlarged prostate. 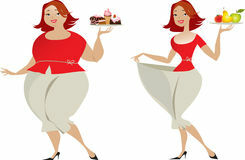 You can get back to the top of Zucchini Health Benefits or else go right back to our Home Page.